Our tasting panelists are primarily located in wine country and are intimately familiar with the regions and the wines. The editors of Wine Enthusiast have been reviewing the world’s great wines for more than 20 years, and our program today, under the direction of Tasting Director Joe Czerwinski, has never been stronger. Our panelists now rate and review over 12,000 wines a year. Our reviews are quoted widely and are hugely influential at the retail level. Our iPhone and Blackberry apps, containing our database of wine reviews and ratings, are the number one wine-review applications for those devices. And of course, our reviews are available, for free, at www.winemag.com/ buyingguide. The reason for our success? Our tasting panelists. Many of them are situated in the most important wine-producing regions in the world—Roger Voss lives in France, Monica Larner in Italy, Paul Gregutt in the Pacific Northwest and Steve Heimoff in California. In all cases, our tasting panelists cover specific wine regions, and have done so for many years. Not only do they possess keen palates, good judgment and excellent communication skills, they are intimately familiar with the territories they cover: the terroir as well as the winemakers. That’s so important, and a crucial point of deviation from so many others who are writing about wine and reviewing wine, whether in print or online. What this gives our Buying Guide, and in turn you, the reader, is consistency. If you want to know how the wines of Burgundy are faring (as you will find in our July issue’s article on page 48), you should know that Roger Voss has been reviewing Burgundy wines for 11 years. It is not a host of writers with a host of palates. We hear from writers all the time, good writers too, experienced tasters and wine journalists, who want to write about the wines of, say, Piedmont. (It will not surprise you to know that everyone, absolutely everyone, wants to write about Italy.) But since Monica Larner, who lives in Rome, has taken over the reviewing of Italian wines, our readers can count on the fact that all our reviews are by Monica. They can count on that single, authoritative voice and gauge their tastes and preferences accordingly. Our tasting panelists, with long experience in their territories, become accustomed to the regional styles; because their sensory memories recall previous vintages, they can better detect flaws and better identify their cause. They can witness the evolution of brands. They can tell you if a wine exhibits typicity. Knowing the local producers’ wines, they can detect the core of fruit underneath a massively tannic wine, and tell you with reasonable accuracy if it will ever find its balance, and when. What we are particularly proud of, as a media company, is the way we have distinguished ourselves from other books, magazines and Web sites: in every issue, we present the most comprehensive, fun and accessible reviews of the wines that people can find, and want to drink. Period. We have also been recognized as the only magazine and Web site that successfully balances coverage of wine with authoritative reviews, and lively feature coverage, of spirits and beer. Let me take this opportunity to welcome Kara Newman as our new spirits taster. She is the author of a popular book on cocktails and spirits and has done a series of lively videos with bartenders, among numerous other industry and consumer engagements. Her reviews will begin to appear in our September issue, and we’re sure you’ll enjoy her energetic, open approach to the subject. In this issue you’ll find the solid results of our tasting panelists’ expertise, as we offer recommendations for wines from all parts of theglobe, in all styles, to suit your summer drinking plans. The ultimate summer wine—and the most popular variety in the world—is Chardonnay. On page 32, you’ll find our cover story on Global Chardonnay; our tasters profile the Chardonnay styles in their regions and offer recommendations for top-rated wines and value choices. On page 48, our man in France, Roger Voss, identifies premier crus in Burgundy that have, over the years, consistently produced wines of grand cru quality. 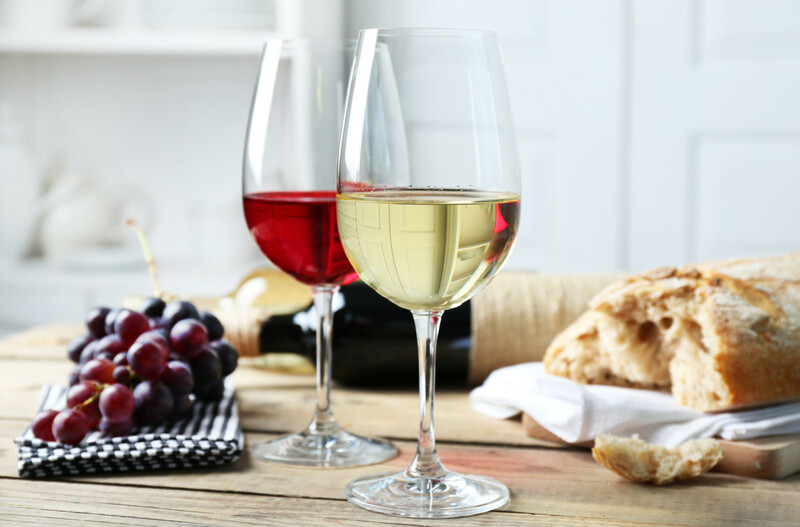 What it boils down to is, great recommendations for classic wines that wine lovers may be overlooking.The Buying Guide (see online version) contains hundreds more basic, nononsense recommendations for wines at all price points. It’s the ideal platform for our reviewers to bring you the entire world of wine, in all its delicious variety. Cheers!